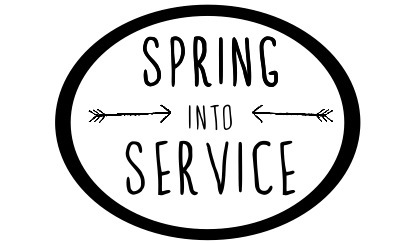 Spring into Service with us! 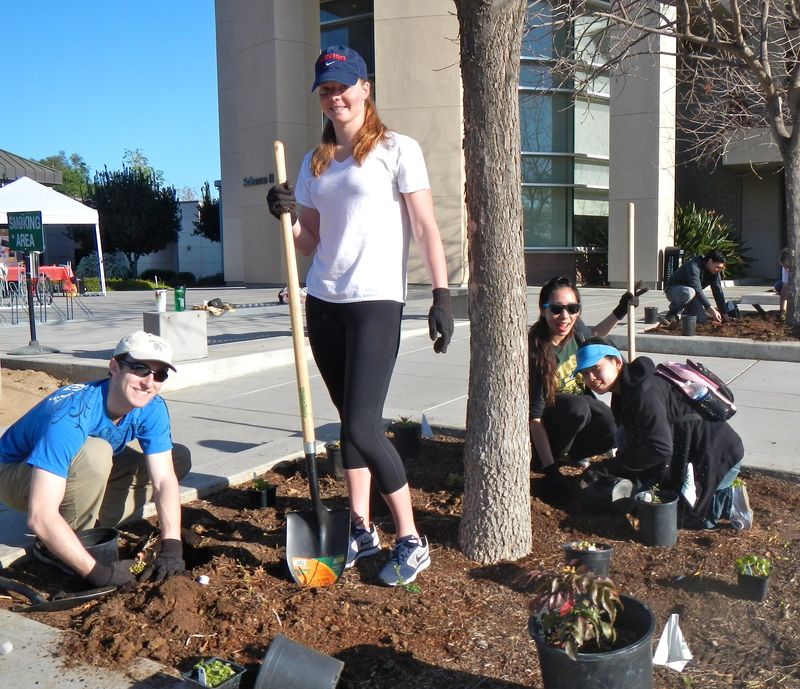 Join us for Spring into Service on March 22, 2014 from 8:00 AM – 12:30 PM! 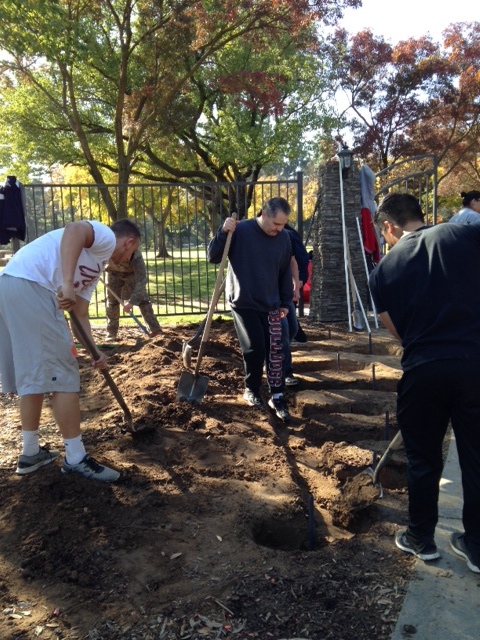 Fresno State volunteers help revitalize Woodward Park during last semester’s Serving Fresno Day. 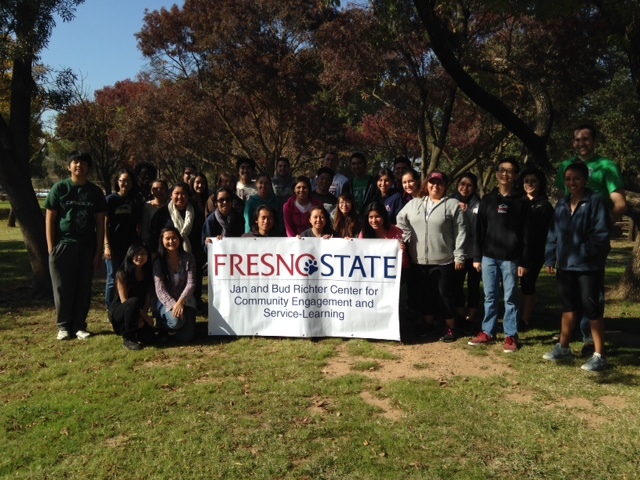 With triumphant Make a Difference Day and Serving Fresno Day behind us, we at the Richter Center joyfully look forward to the next one-day service opportunity, Spring into Service Day! 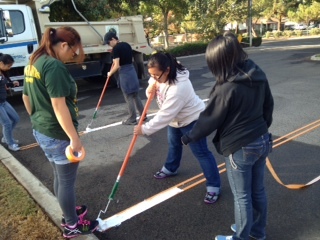 Repainting basketball courts, revitalization projects at El Dorado Park with Associated Students, Inc. 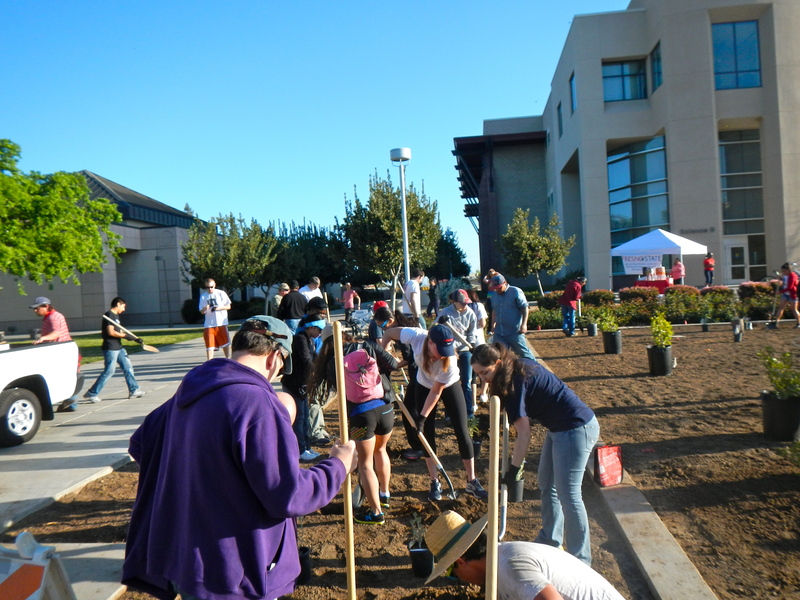 Planting trees and shrubs on our Fresno State campus. 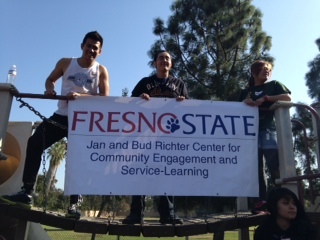 Fresno has a lot of critics, but with some positive attitudes and a little teamwork we can change that negativity! We of this under-appreciated Central Valley city are blessed with splendid sunshine, vibrant urban developments, rich and abundant fields of agriculture, and so much more. Everything we could ever need is right here. Most of us don’t have to worry about our next meal or finding shelter from day to day. We have a successful university full of bright minds just waiting to change the world. Fresno is home to amazing, dedicated, down-to-earth people, and we shouldn’t doubt its potential for a second. All it takes to recognize its beauty is a little optimism. 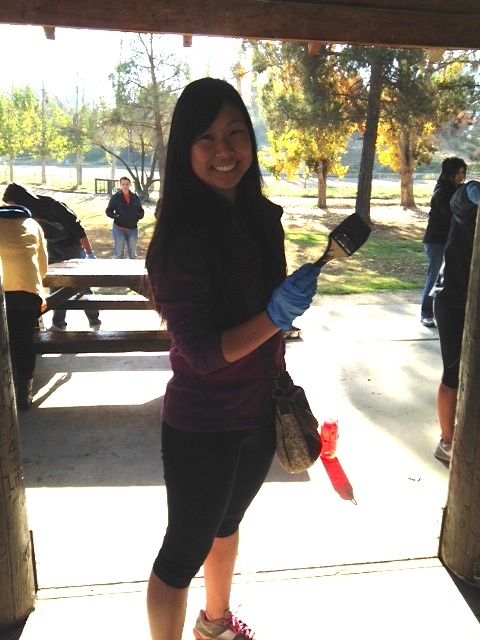 I can assure you that community service is one of the best ways to guarantee this much-needed positive outlook. Granted, there’s always room for improvement, and that’s just what Spring into Service is all about! 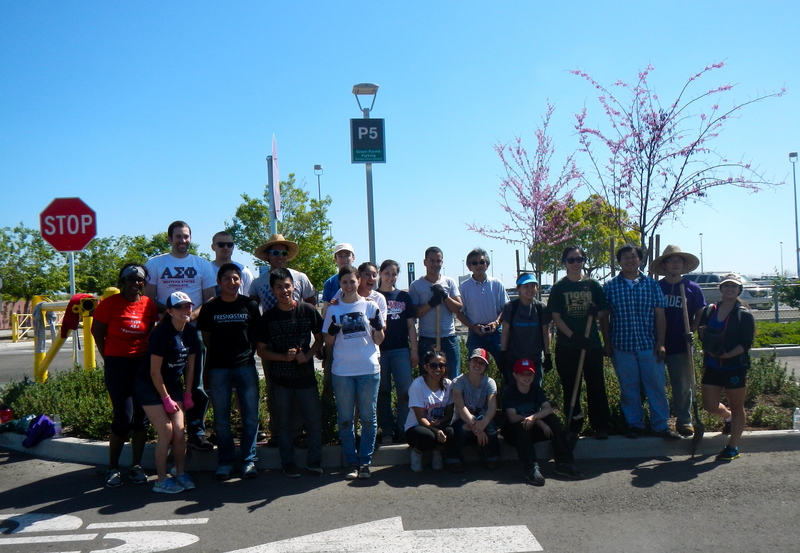 The general consensus from our previous one-day service events was that although it was early on a Saturday morning, each and every one of us left our service project with feelings of accomplishment and camaraderie. We each became excited to watch our web of outreach unfold! Our goal at the Richter Center is to regenerate these positive vibes on March 22nd. Let’s work together to spread an awesome message about our community! Let’s revitalize Fresno! Spring into Service Day will be a springboard for the Spring into Service Lifestyle: where we’ll work every day to make our home even better! Join us! You are officially invited! Visit the Richter Center website to register by March 19th; space is limited. Which Spring into Service site are you most interested in and why? What do you hope to gain by participating in Spring into Service?